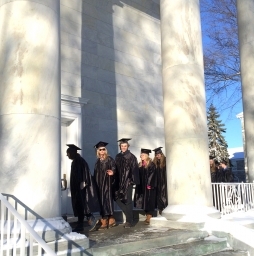 Middlebury's "Febs" gathered for a ceremony at Mead Chapel followed by the traditional ski-down at the Snow Bowl. 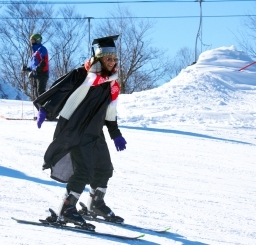 ‘Feb’ festivities will include an academic procession, Mead Chapel ceremony, and the beloved spectacle known as the "Ski-Down." 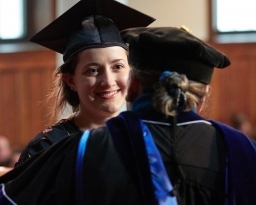 Beautiful blue skies and frigid temperatures set the stage for Middlebury's annual celebration of mid-year graduates.